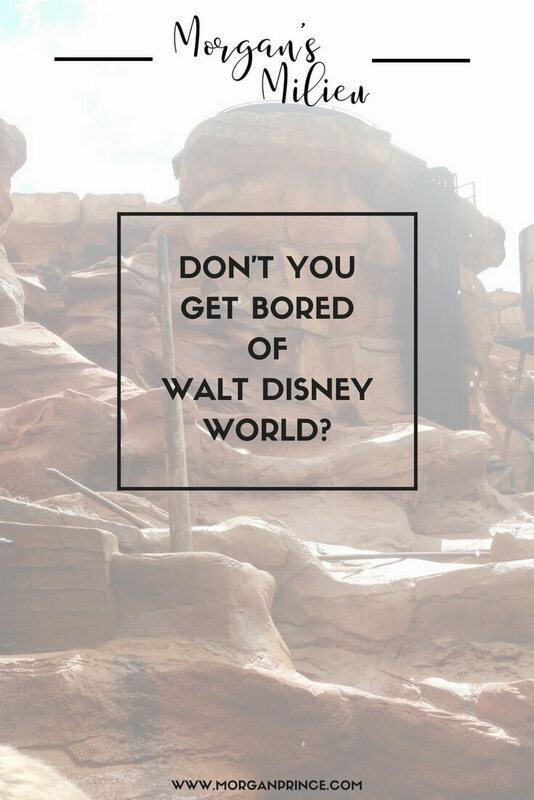 This is a question we get asked all the time, whenever we tell our family we're going to Walt Disney World again the first thing they say is "Don't you get bored of the place?". My answer is always, and will always be, NO - why on earth would I get bored of an amazing holiday where I get to go on rides, eat tasty food, and see my children happy every day? Over the years I have visited Walt Disney World lots of times, and even though we were going to the same place it has always been different. When BP was a baby, just under 2 years old, we got to experience the Walt Disney World for babies. We rode all the gentle rides, we watched Playhouse Disney - which BP loved because he got to see his favourite characters on stage - and we got to meet lots of characters. The characters were brilliant with BP because he was so little and it was lovely seeing the interaction. We also went when BP was older and LP was in the pushchair. Enjoying things for the older children as well as the things for babies was a new experience. LP and I waited while Hubby took BP on the bigger rides and we played games or I let him sleep. When we visited with older children (4 and 9 years old) it was different because we didn't have a pushchair (stroller for readers across the pond) to store everything. That meant I didn't have to carry a huge bag around because I didn't need baby stuff anymore. I was able to walk around with a small bag around my waist. It was much easier, the boys walked around and enjoyed the park and they got to go on the bigger rides too. 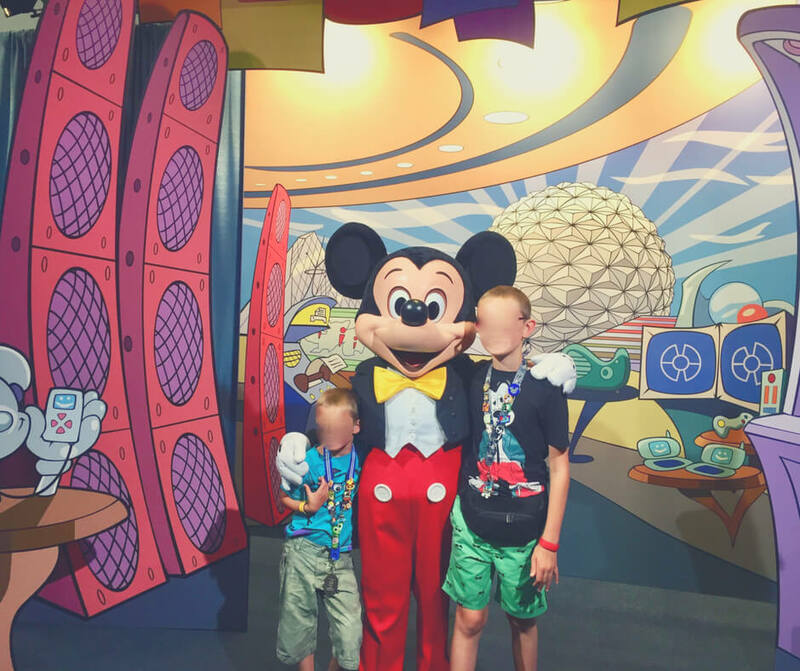 Seeing their reactions to the characters was brilliant, I particularly remember LP meeting Mickey Mouse - his face was a picture, he couldn't believe he was meeting Mickey Mouse! With older children again (6 and 11 years old) it was different again. This time LP got to ride all the bigger rides rather than waiting around with me while his brother and the Hubby went on the roller coasters. He still remembers things from this trip and he's 9 now. At 6 he was still young enough to enjoy the 'baby' rides like It's a Small World but he loved the roller coasters too. He loved being able to ride with his brother and dad. Both boys were still young enough (just) to still enjoy meeting characters too. This summer we're visiting with a 9 and 14 year old. BP is a teenager, which means we'll probably have some fun with hormonal outbursts. 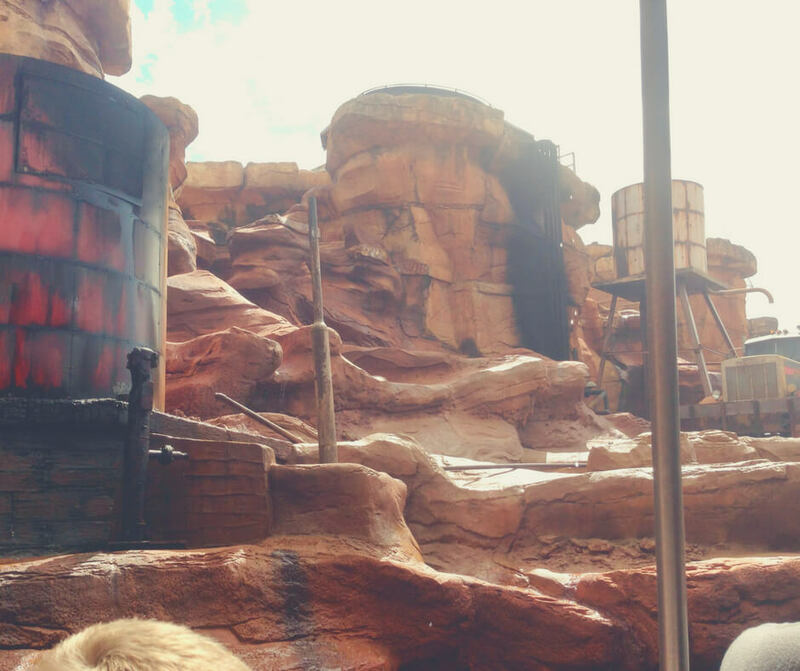 But at the same time, he's grown up loving Walt Disney World, so I'm hoping that will keep the outbursts to a minimum. LP is 9 which means he is tall enough to go on all of the rides in every park and he's looking forward to that. He can't wait to try out Summit Plummet in Blizzard Beach. Going with older children is much easier, I can trust that they won't run off at any time and if they do they have phones to use so I don't have to worry. My advice to any teenager would be don't try too hard - just get on with it. That's what I did. Have fun; enjoy life. There is always something to do in Walt Disney World. I love going on the 'baby' rides, even now, they're gentle and entertaining, but most of all I get nostalgic and remember when BP sang the Figment song. I love walking around the parks and taking photos I've taken a hundred times before, you get to document how the parks change over the years when you do that. The Backlot Tour - a ride that closed a while ago now, but one I will always have fond memories of. One of the best things about returning to Walt Disney World, and one of the main reasons I don't get bored of it is, the boys remember things too. They remember meeting their favourite characters, LP remembers riding Expedition Everest for the first time, and BP remembers going on a Wave Runner on the lake. Then there's the food. Trying out new restaurants, every time, adding them to our long list of places to visit again and eating some truly amazing meals. The kids even try new foods in Walt Disney World, which still surprises me but I am so happy to see them trying things. BP has already said he's going to try more seafood and LP is getting a little more adventurous with his food too so fingers crossed! 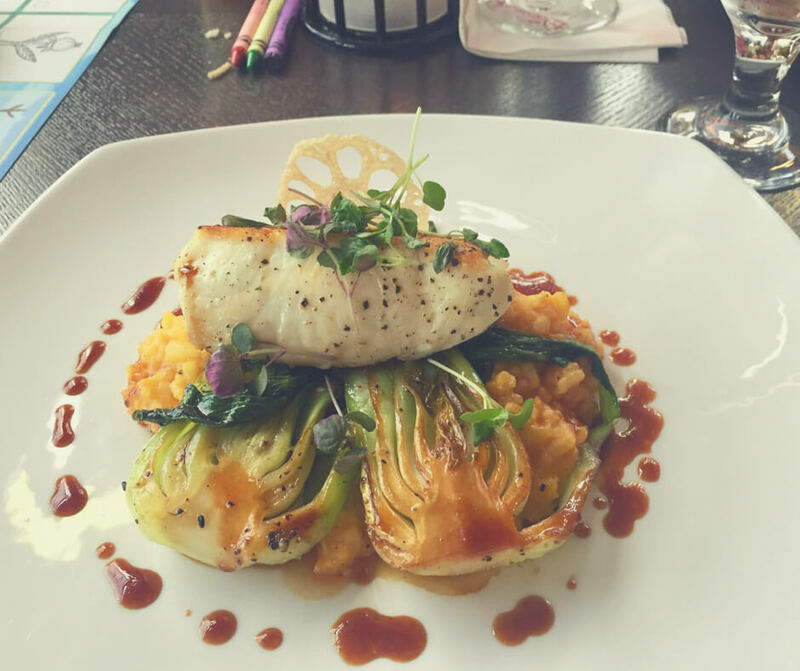 The restaurants in Walt Disney World are an experience, not just somewhere to eat. And of course it's not just about the parks, the rides, and the restaurants. There are water parks, boats to hire, bikes to hire, shows, and even other hotels to visit. We have visited almost all of the hotels in Walt Disney World, and there are some wonderful things to see at the hotels as well as the parks. The shows are so entertaining - I'd highly recommend seeing Finding Nemo The Musical, which is at Animal Kingdom, and Hoop De Doo Musical Revue which is at the Wilderness Lodge Camp Ground. We've rented boats and floated across the lake and during our visit this year LP wants to rent a bike - which you can do at Wilderness Lodge. Visiting Walt Disney World again and again is not like visiting Spain year after year, staying in the same hotel and doing the same things. While it is the same hotel things are always changing. We haven't yet had the same holiday twice, and we always manage to find something new that we think we should've been doing all along. How on earth could I get bored with all that entertainment? 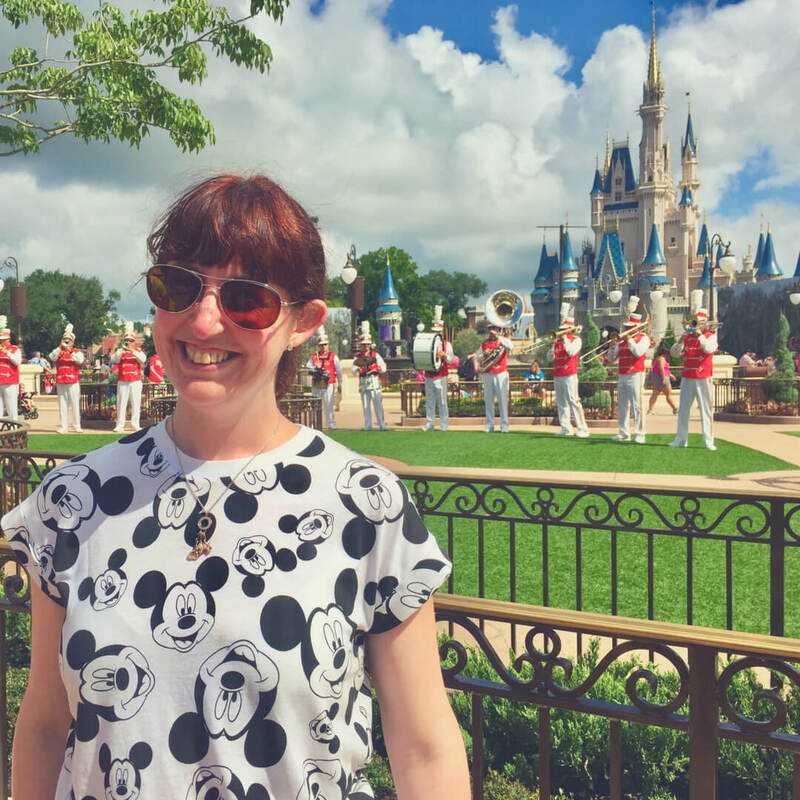 If you'd like to read more about why visiting Walt Disney World is so good check out my post What I love most about Walt Disney World, or if you're currently planning your holiday why not read Things to know before visiting Walt Disney World. Don't forget to stop by Facebook and say hello, particularly if you're a Disney fan! Are you sick of losing mum battles? Join me in my #MumWinning Revolution - it's about time us mums started winning right?